Michele Colonna is an accomplished marketing executive with over 20 years of experience in luxury, outdoor and value retail. He currently serves as the VP Marketing DTC, Kontoor Brands. 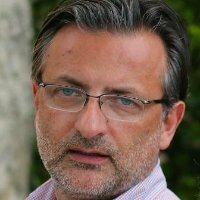 A native of Italy, Michele brings a global perspective to his role given his extensive experience in the international retail arena. His expertise includes brand turnaround, consumer experience, consumer insight, and visual communication. Michele lives in the greater Philadelphia area.